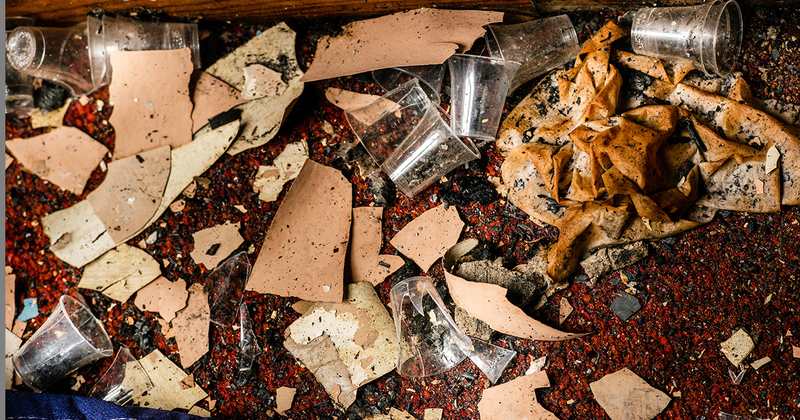 Amid ashes and plaster, three historic LCMS congregations — in Wisconsin, Missouri and Indiana — are continuing to bring God’s gifts to His people while they recover and rebuild following catastrophic losses earlier this year. 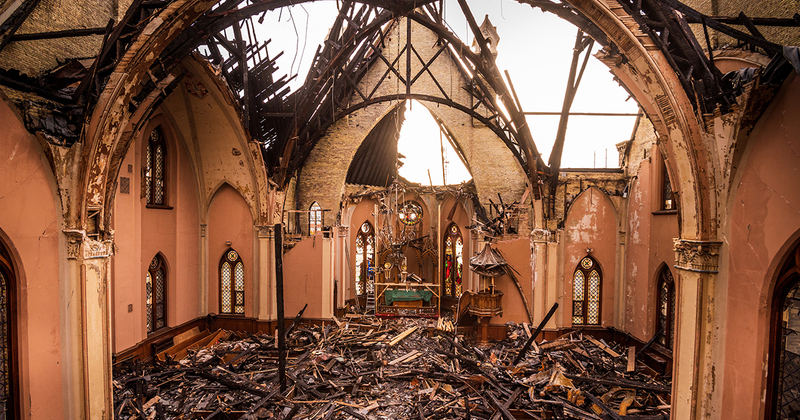 It was sometime before 3:45 p.m. on May 15 that fire broke out at Trinity Evangelical Lutheran Church in Milwaukee. No one was injured, but the damage was so extensive that after the initial assessment, there was some question as to whether Trinity could rebuild. 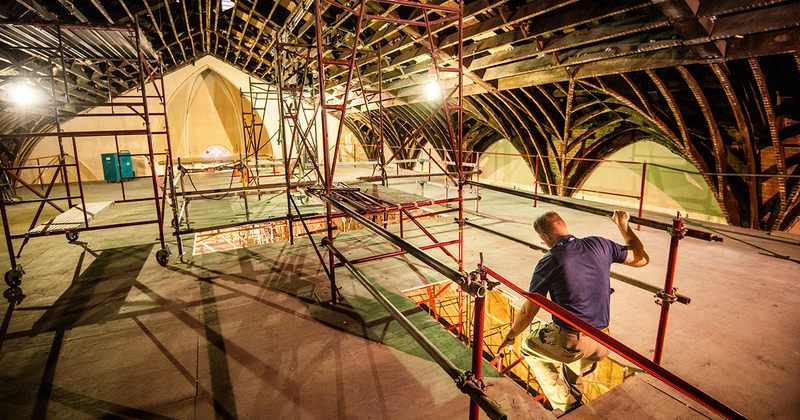 The congregation asked Triad Construction Inc., which had done numerous renovations at the church in the past, to take the lead in the process. In June, Triad engaged a local architect and engineer and determined that the building — constructed in 1878 and listed on the National Register of Historic Buildings — was structurally sound and capable of being restored. For caution and public safety, Triad’s first goal was to stabilize the building. 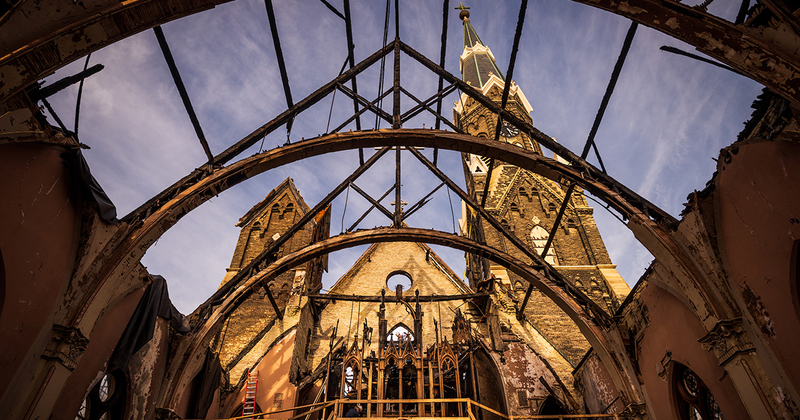 Then they began to salvage whatever could be saved — bricks, original Douglas fir timber, pew ends, baptismal font, altar pieces, pulpit and parts of the organ — for use in rebuilding, which is expected to take years. 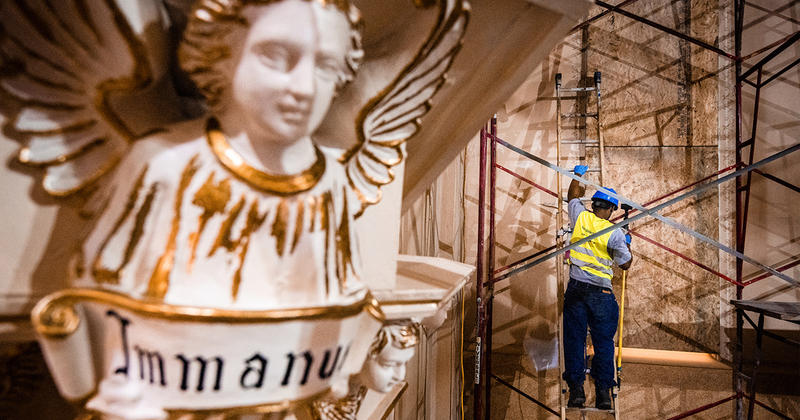 On Sept. 10, a large crane lifted out the remaining pieces of the 1879 Schuelke pipe organ, which is listed on the Organ Historical Society’s national register of historic organs. An organ enthusiast and longtime friend of the congregation who worked with Trinity on several previous construction projects, including its adjoining office building, Awve sees the work in front of him as being about much more than a building. On Sept. 9, Trinity hosted an “Out of the Ashes We Rise” potluck and block party to thank those who have supported the church since the fire and to celebrate the beginning of a new academic year. For now, worship services are being held in the chapel of Krause Funeral Home. The hope is that repairs to the annex, built in 2006, will soon enable staff to return to their offices and confirmation classes and other weekday activities to resume. Behnke and other parish leaders, including vacancy pastor Rev. Ed May, answered the question by not missing a single scheduled worship service since the fire, gathering first at Milwaukee Area Technical College and then at the funeral home. “No one was hurt,” said Behnke. “We’re all still here. God’s still with us. We don’t know why it happened. Accidents happen in a sinful world. That doesn’t change who Trinity is. On Sunday, Oct. 7, at 4:00 p.m., Dr. John Behnke, organist and choir director at Trinity, will lead a hymn festival at St. Paul’s Lutheran Church in Des Peres, Mo. 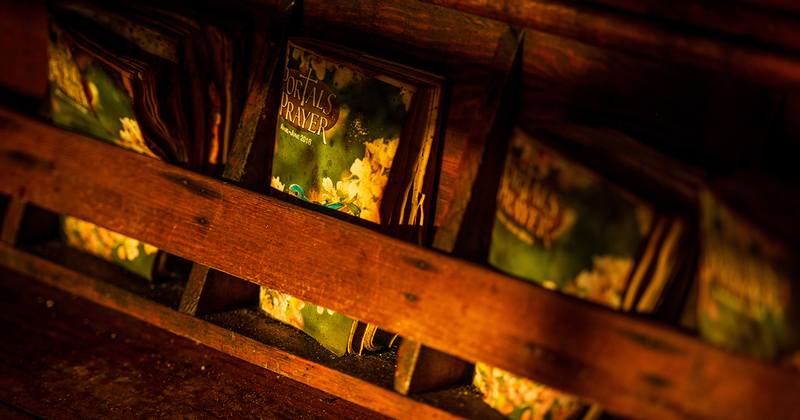 A freewill offering to benefit the rebuilding effort will be received. 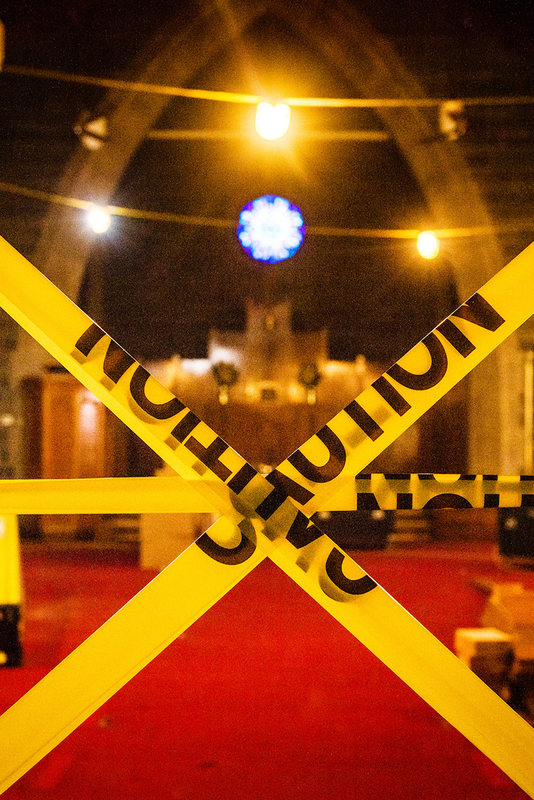 On May 29, another historic LCMS church experienced a different kind of catastrophe when, very early in the morning, half of the sanctuary ceiling of Immanuel Lutheran Church in St. Charles, Mo., collapsed onto the pews below. No one was in the church at the time. Immanuel, built in 1867, is one of the oldest buildings in St. Charles County. 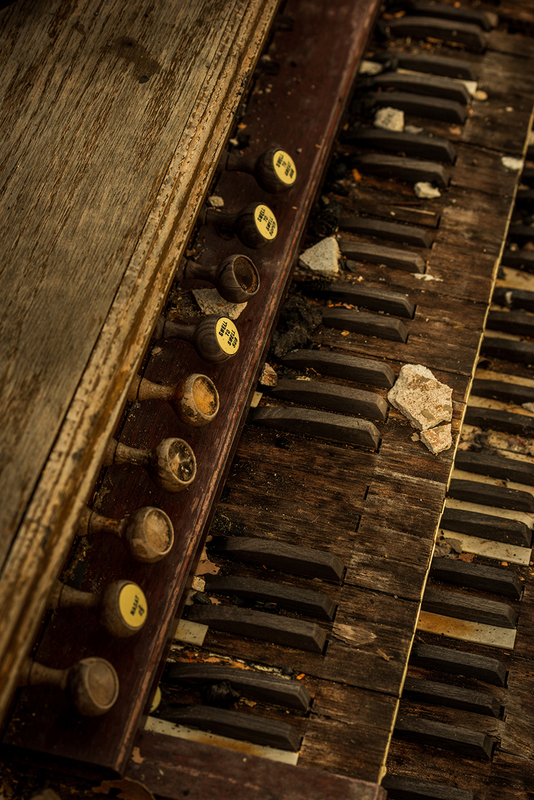 The collapse damaged pews, hymnals and other furnishings, as well as a grand piano and a Wicks pipe organ installed in 1959. The altar was not harmed. According to the Rev. 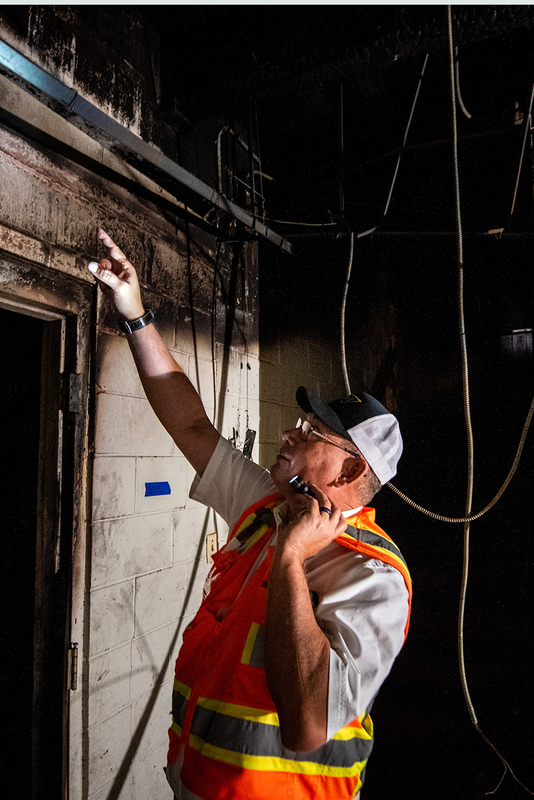 Scott Schmieding, Immanuel’s senior pastor, the initial debris removal and cleanup were completed on Sept. 11, with reconstruction of the ceiling set to begin Sept. 24. 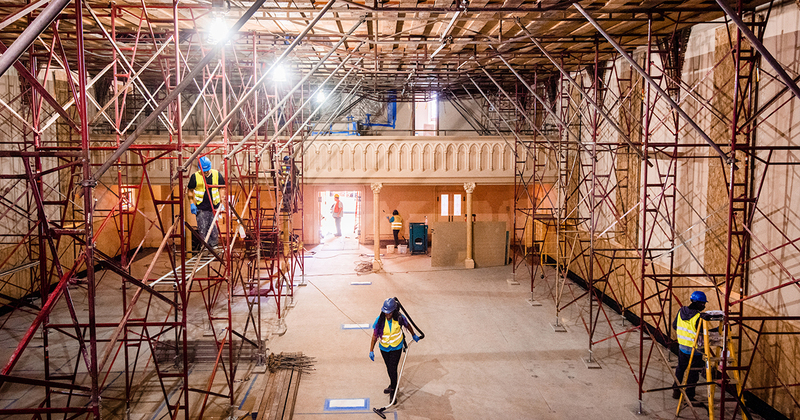 Scaffolding has been erected over the entire sanctuary, chancel and balcony, with a temporary upper deck installed as a platform for workers to carry out the restoration process. All the organ pipes — of which about one-third were damaged or destroyed — have been removed. Full restoration of the organ will happen after the building repairs are completed. 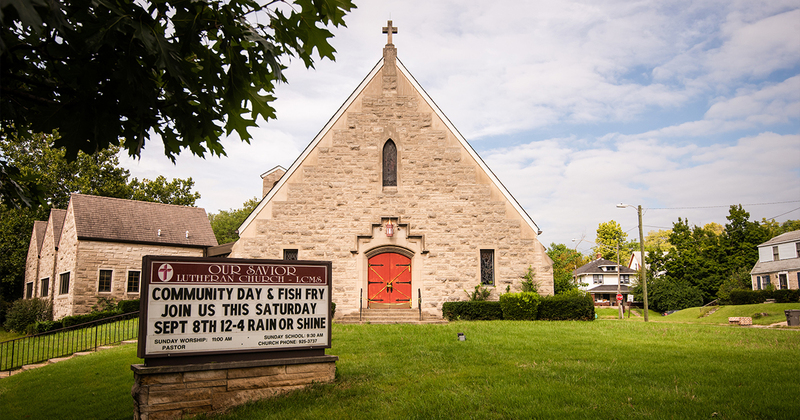 On the morning of Aug. 7, a fire began in the basement of Our Savior Evangelical Lutheran Church in Indianapolis and rapidly spread, causing widespread smoke and water damage before being contained by firefighters. No one was hurt. The loss is estimated at $1 million, and the cause of the fire is unknown. Repairs began in August and will take months to complete. Construction of Our Savior was completed in 1948 after years of delay due to building and zoning codes. The church was recently approved to be added to the National Register of Historic Places. The congregation is currently worshiping at Lutheran Child and Family Services in Indianapolis and is making arrangements to hold their after-school tutoring program, Rebecca’s Garden of Hope, at Ivy Tech Community College. 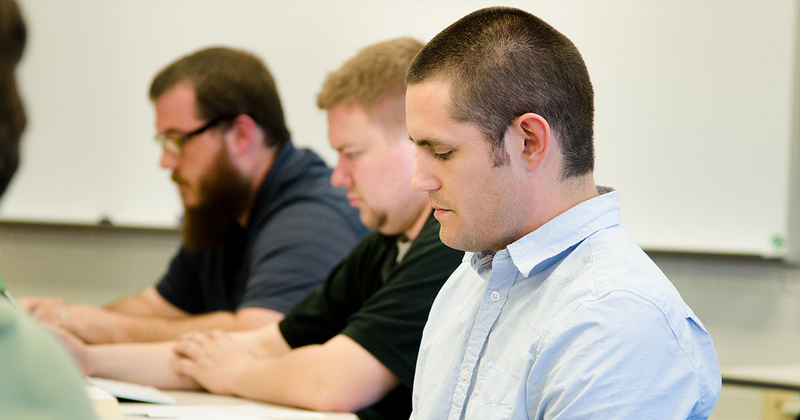 They hope to begin worshiping in the fellowship hall, which is in a newer construction on the church campus, once the elevator has been repaired. 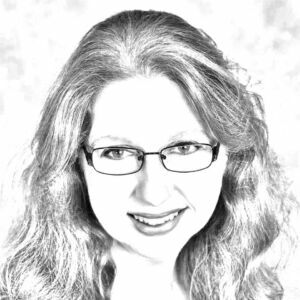 Cheryl Magness (cheryl.magness@lcms.org) is managing editor of Reporter Online. 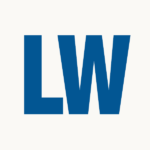 Rachel Bomberger (rachel.bomberger@lcms.org) is managing editor of The Lutheran Witness.